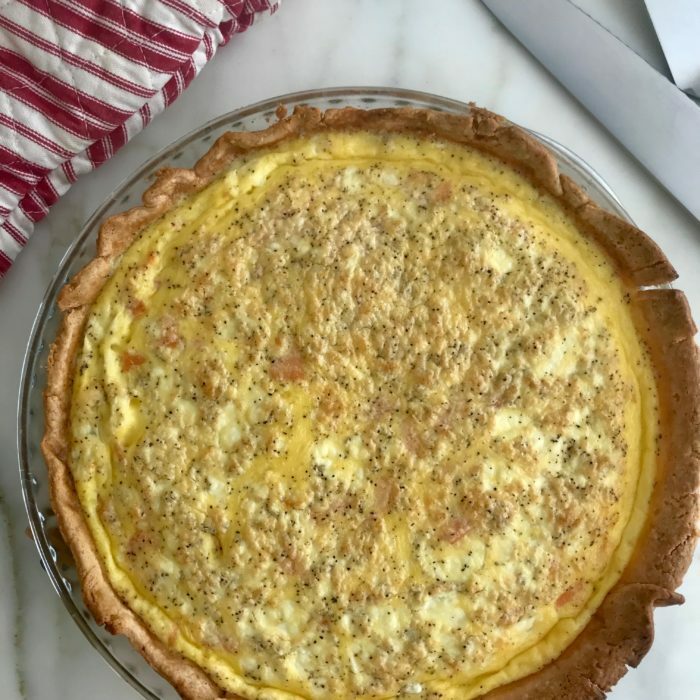 Quiches are always a good idea for brunch.... So easy to prepare and so delicious. Place the pie dough in a tart mold and bake it for 15 min. Meanwhile whisk the eggs and add the salmon and crumbled goat cheese with some salt and pepper. Take the tart out if the oven and let it cool for 5 minutes. Transfer the egg mixture into the tart and place back in the oven for 25-30 minutes until set. If the crust gets too dark, either bring down the oven temperature or cover it with foil. When ready, slice and enjoy with a nice mixed green salad.